Great things often come out of solutions to problems. For example, bassist Mark Robertson noticed that amplifying an upright bass to really loud levels was an issue that got overlooked by most manufacturers. He eventually discussed it with friend and electronics guru Justin Herlocker, and BNA Audio was born. The team got into building hi-fi bass cabinets and is an authorized builder of fEARful/greenboy cabs designed by Dave Green. Their product lineup includes cabs of all sizes and shapes, ranging from a 1×8? to the 1515/66/1, which sports two 15? drivers, two 6? drivers? and a 1? tweeter. How did you get into building cabs? Can you explain fEARful/greenboy designs and how you hooked up with Dave Green? I started trying out some of these forward thinking designs. I’d tried nearly every high end boutique cab out there by the most cutting edge designers, and they were ‘almost’ there, but not quite, for me. Then I heard a fEARful 15/6 and everything changed…I wanted to play those cabs! Somewhere in there, I contacted Dave Green and we started chatting. I’m not sure we even talked about cabs at all during that first conversation. He just seemed interested in my band, my musical approach and stuff like that. I bet we talked for 3 hours that first conversation; Captain Beefheart, cyberpunk novels, art films, just all kinds of stuff…we had so much in common and Dave is a truly interesting person. I swear, EVERYTHING is interesting to him…punk rock, street art, old jazz records, architecture…just an amazing guy who struck me as someone who loved people and was motivated to give them something really useful, and his cab designs were the vehicle. I think that’s why greenboy/fEARful users are so fanatical about his cabs. He isn’t motivated by the normal business plan. He wanted to make the very best bass cabs possible, not sell the most mediocre cabs possible. Dave could figure out how to design cabs with less expensive parts and I bet they’d still be better than the commercial cabs, but he just won’t do it. He’s only interested in designing the BEST cabs. It didn’t take long for me to understand that I was gonna be playing his cabs and I just told him that me and Justin were starting a small audio company and we’d like to be authorized greenboy builders. He gave us a trial period to build a few cabs, test them and take them on tour and make sure we knew what we were doing! In my opinion, greenboy designs are so far ahead of the pack. The lows are deep and full, the mids are detailed and the highs sparkle. None of that is ‘market-speak.’ Dave is a practical guy, and he can explain the logic and science behind these designs, so not only can you have the best sounding cabs out there, you can know WHY they are the best sounding cabs out there! How does your background in music affect your products? I haven’t had a day job in over 20 years… it’s been studio work, touring and writing and that’s pretty much it. A very long time ago I set a goal to only do work that was fun, or enjoyable to me. So you figure, thousands of gigs all over the world from tiny clubs in Mississippi, to massive outdoor festivals in Norway or whatever. The advantage that gives me is I’ve gone through a lot of gear and used it in a lot of different contexts. So I’ve learned what works and what doesn’t for me and I have enough musician friends, that I knew they weren’t getting exactly what they needed either. Justin is a Berklee grad and has a real gift for electronics. We just figured we could bring something to the table for folks who were just as obsessed by great sound as we were. Amplifying an upright can be a tricky thing. What’s your approach to tailoring your products to meet those challenges? Gosh, that’s a can of worms! The first thing we had to come to terms with was that we couldn’t make products that sounded great and were cheap. We try to cut costs where we can, but we had to make that decision. It’s gonna be a small boutique company that doesn’t cut corners. The upright bass was never designed to be amplified, much less amplified at super high volume, so you need the best gear possible to get the right sound at high SPL. The first thing we did was build a few cabs and get them on the road. We built a rig for myself and a friend of ours named Geoff Firebaugh, from the band Hillbilly Casino. Geoff is a monster player and a total gear nerd who plays upright in a really loud band. So we took our greenboy cabs on the road and talked to Dave Green pretty much everyday about how the gigs were going. I still can’t believe we got the best bass cab designer out there to take an interest in our little niche, but he really took an interest in it. 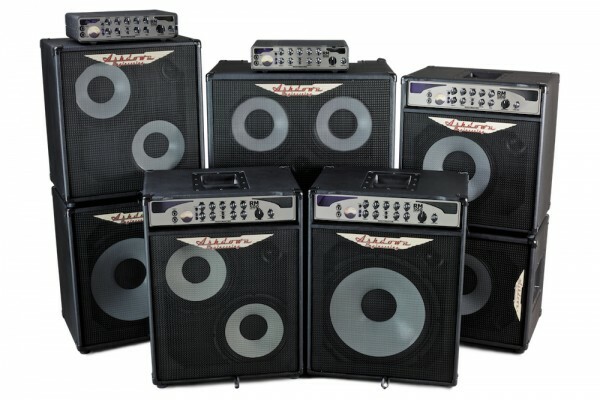 Dave designed the FEARLESS line of cabs that feature two different mid voicings. One was more in the ‘traditional’ greenboy voicing and one was a more ‘upright friendly’ voicing. There’s a switch that allows you to go back and forth between voicings. We started finding that a lot of bass guitarists really loved this voicing which made the FEARLESS cabs even more versatile for everyone. Tell us about your process in building a cab for someone. When someone first contacts BNA, I usually try to get to know them. What kind of basses do they play? Amps? What styles interest them, what sort of venues do they play, etc. This helps me guide them through the process of making sure they get the best cab for their purpose. 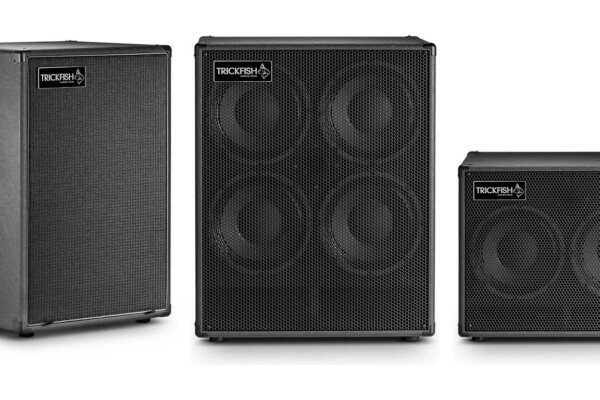 Sometimes a customer might think they need one of our huge cabs, like a fEARful 1515/66/1 or a FEARLESS F215 because they didn’t know how much sound they can get from a much smaller cab. Every player has different goals and needs regarding size, weight and performance. We just want to make sure it’s the BEST cab for each individual. Once that’s settled we figure out handles, wheels and any custom options they may want. From there we cut out all the panels on a CNC machine, order parts and begin constructing the cab. CNC was such a good decision for us. All of our cabs are fully dadoed so all the panels lock into each other. This makes for a straighter, stiffer, longer lasting cab, and since we’ve started getting busier it even cuts down on the build time a bit. After everything is glued up, I do roundovers, touch up any nicks and do final sanding. Then I apply the Duratex, put the batting inside and hand the cab off to Justin. He builds and installs the crossover, mounts the drivers and gets everything wired up, hands it back to me and I put on all the hardware and grills, then test the cab for sound. We usually play recorded music through them first…mess with the eq and make sure everything is as it should be. After that we run a tone generator through the cab to make sure the grill doesn’t rattle and the speakers and crossover are all working properly. We sweep from 20hz to 20khz and listen for any problems…once it passes that phase it gets boxed up and shipped out to the customer. What’s the craziest thing you’ve been asked to do on a cab? Not sure I want to answer that one…might encourage others to come up with something even crazier! I think because we do the custom, boutique thing some folks get pretty option heavy at times, just dreaming the dream…there have been some pretty odd requests, some of which we’ll do and some we just won’t, especially if it compromises the cab design or goes out of the bounds of Dave Green’s specs. Dave has put so much thought into these cabs, we’re just not gonna mess with his original intent. To be fair, some of the craziest stuff was me goofing around with different visual concepts, many of which no one will ever see for VERY good reason! What’s your favorite part of building? I love the final touches. Getting the color of the Duratex and hardware just right, mounting the grill, then running the tone sweep tests to know the customer is gonna love their cab. Really the whole process is fun. I’ve been a musician and producer for so long, it’s really satisfying to go out to the shop and make stuff. It’s become really good therapy for me. You have to really love it and be in it for the long haul. You have to love people, and really care about what they’re hoping to get out of the transaction. I’ve made so many friends doing this. You need to be ready to take care of any problems your customers have and do your best to do everything in a timely manner and walk them through the process. Customers love progress reports and photos. Starting up something like this costs a lot more than you might think and takes up a lot of time for not a ton of money, so it has to be a passion or it won’t work for long. There’s a lot of great products out there already so we can only do this if we feel we have something unique and useful. 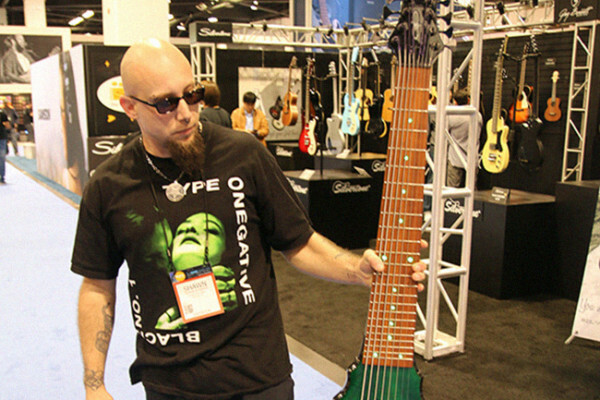 Dave Greenboy Green designs the best bass cabs. If you want the real deal, contact him and get set up with one of his builders. I own two out of the three cabs in the first photo. Remarkable things that sound great and don’t weigh a ton.